In 1999 a pavilion was unveiled in Te Kūiti to mark the upcoming millennium (the beginning of the 2000s). The pavilion is called Te Kūititanga o Ngā Whakaaro. ‘Te Kūiti’ translates as ‘the narrowing’ and ‘whakaaro’ refers to thoughts and ideas, suggesting that the pavilion concentrates thoughts and ideas about Te Kūiti, its people and its history. 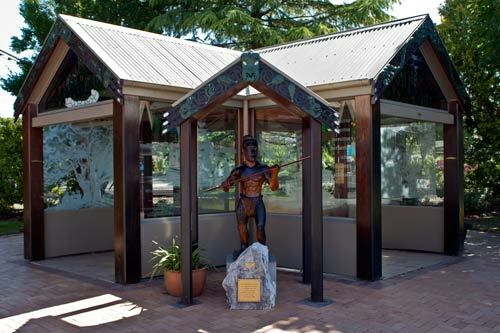 It is guarded by a sculpture of Tūwhakahekeao, the brother of Ngāti Maniapoto ancestor Maniapoto.